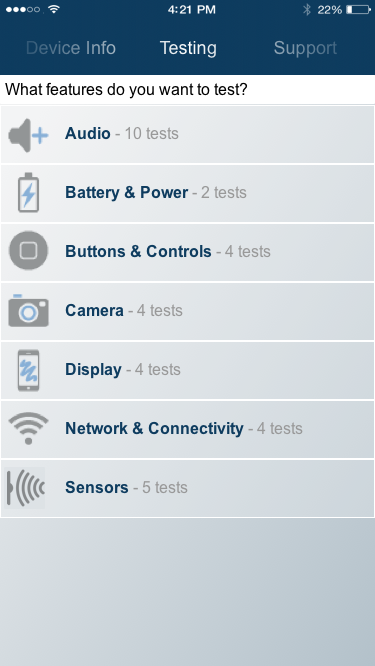 Give your customers the power to test any device—anytime, anywhere. Check the health of your customers’ devices. Anytime, anywhere. Appraise devices anytime, anywhere to offer maximum resale value. Test all device components to reduce risk when you insure a device. 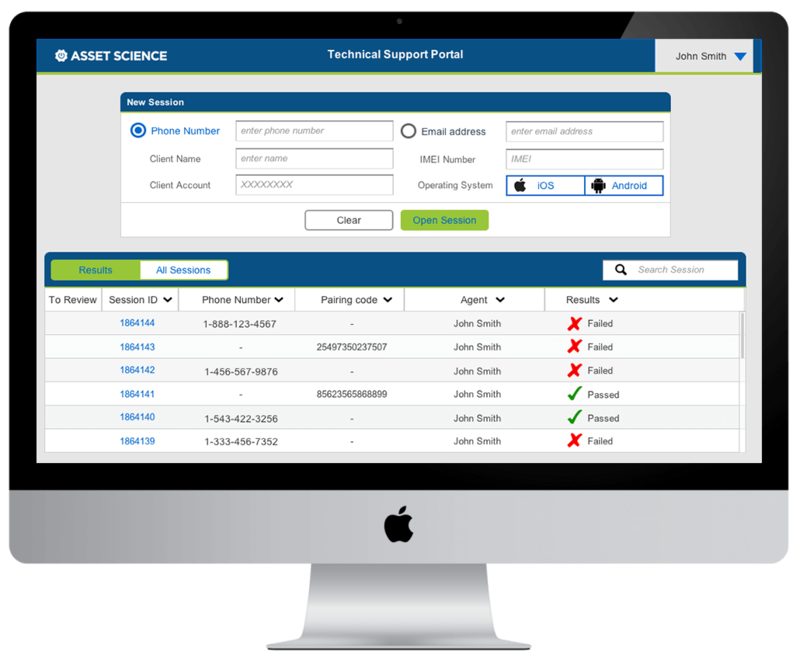 Whether you want to monitor device health, troubleshoot hardware failures, or conduct appraisals for insurance or buyback, Asset Science’s in-hand mobile device testing solutions can help. Appraise anytime, anywhere to offer the maximum resale value. Put the power in the customer’s hands. When a smartphone fails, it can disrupt your customer’s entire day. What if your customers could troubleshoot smartphone issues without taking time out of their busy lives? 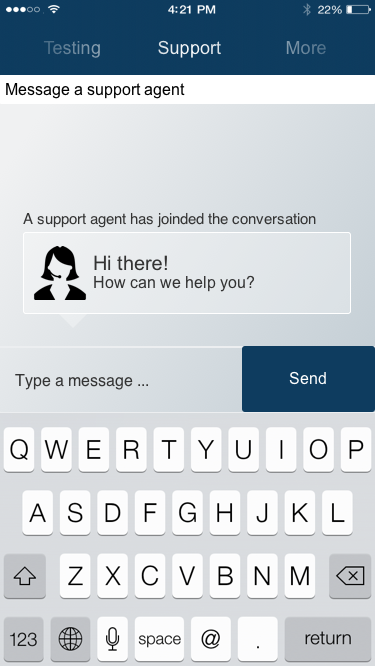 With Asset Science’s white-label customer care app, they can. Customers open a pre-installed app on their device. Select relevant tests from the menu-style interface, and run them. The results are sent to a database. 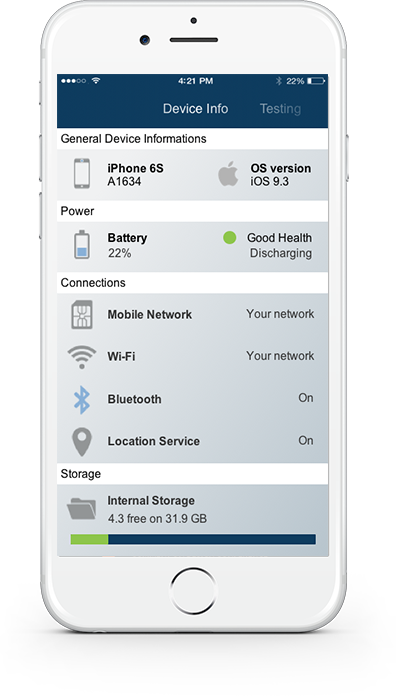 Collect and analyze device health data to identify trends. Your customers come to you when their smartphones fail. Whether it’s an unresponsive touchscreen or a faulty power button, all your customers want the same thing: a quick resolution. With Asset Science’s in-hand mobile device testing app, your customers don’t even have to come to your store to get an accurate diagnosis. Send a targeted test to any customer device via SMS. Intelligently designed tests remove customer subjectivity from the equation. The application guides the customer through the required tests. The results are sent to the technician. All results are also stored in a database. Collect and analyze device failure data to understand trends. Buyback: maximum value for minimum risk. Ensure your customers get the best deal for their used devices. Is your customer considering upgrading an existing device to offset the cost of a new one? Encourage buyback and trade-ins by offering fair market value for used devices. With Asset Science’s buyback app, you can reduce your risk by appraising the device before you make an offer. It’s a win-win. Customers open a downloadable app on their device. The application guides the customer through a series of simple tests in under two minutes. Collect device data to identify trends. Insurance: Offer a fair and risk-free proposal. Cracked screen? Water damage? Insurance gives your customers peace of mind. But insurers take a risk when they insure a mobile device without appraising it first. 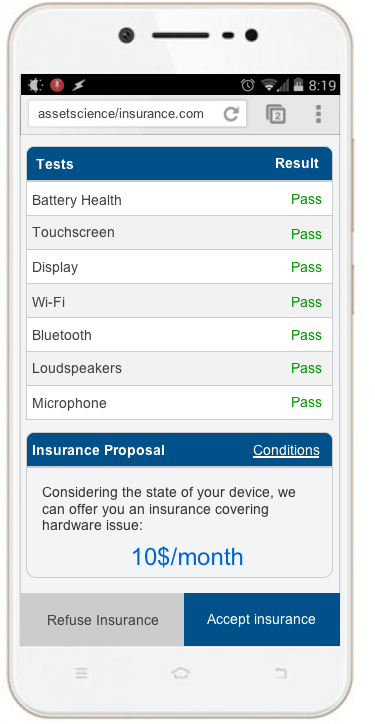 With Asset Science’s insurance app, you can appraise any device remotely to offer a fair coverage proposal based on the device’s current condition. The application guides the customer through a series of simple tests. Collect device health data to identify and analyze trends.